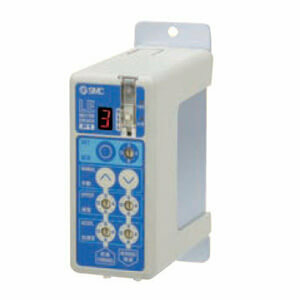 The LECP1 is a programless controller for LE’s 24VDC step motors. 14 positions with speed and acceleration / deceleration values can be set directly from the control panel. No setting software or teaching pendant is required. Separate control and motor power enable the motor to be turned off without losing the encoder position. Alarm detection is also available.